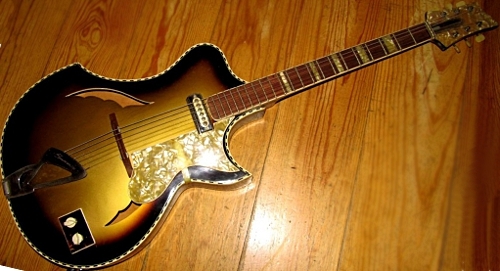 One of two known examples of this deluxe, high-end model by Franz Sandner. 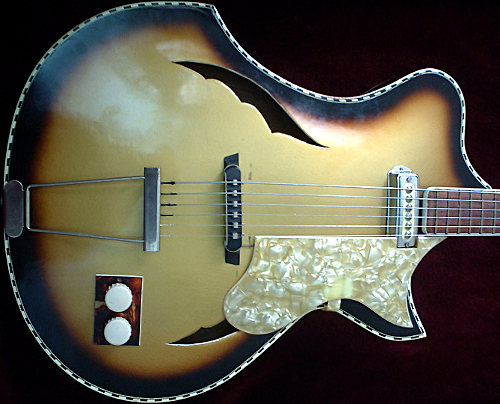 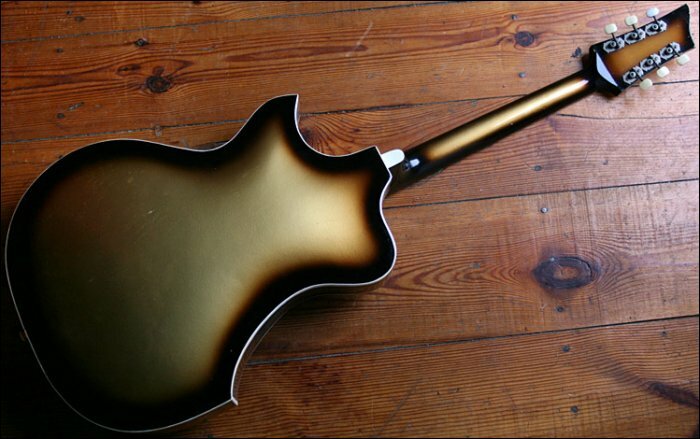 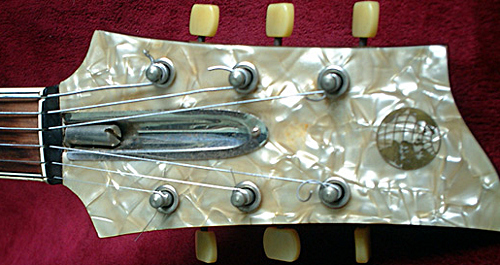 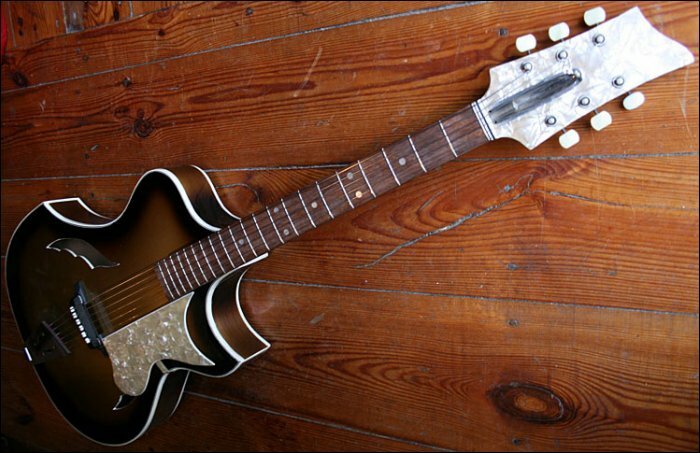 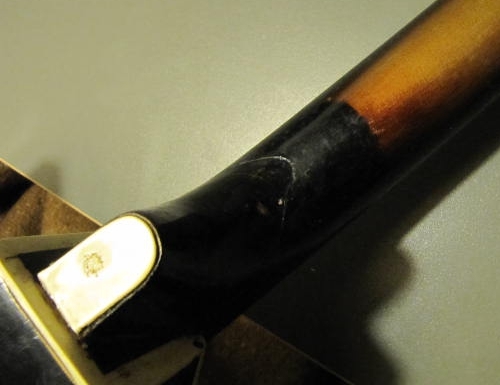 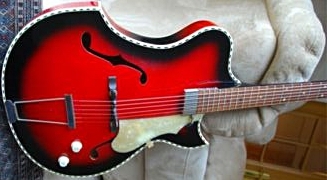 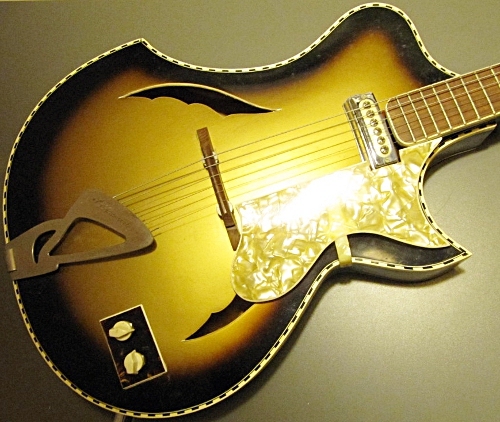 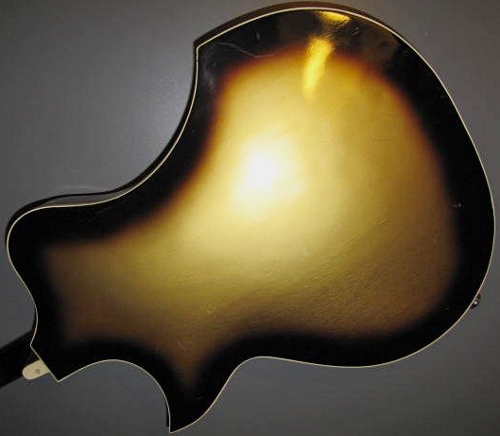 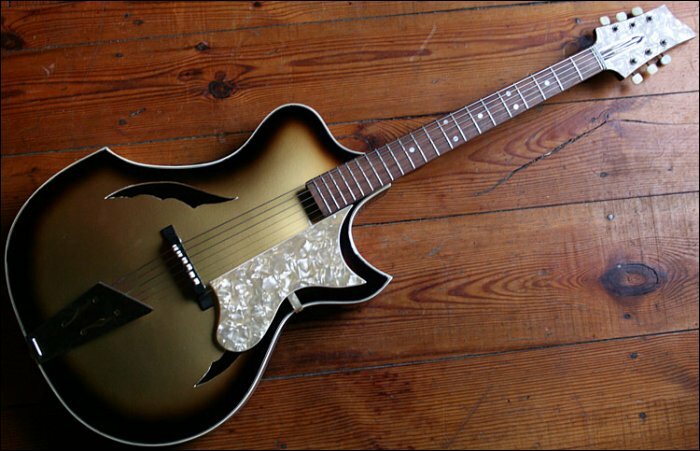 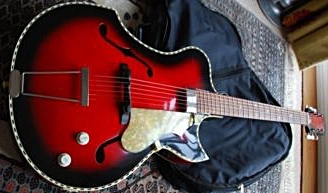 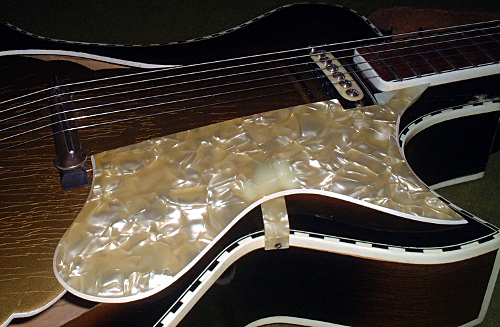 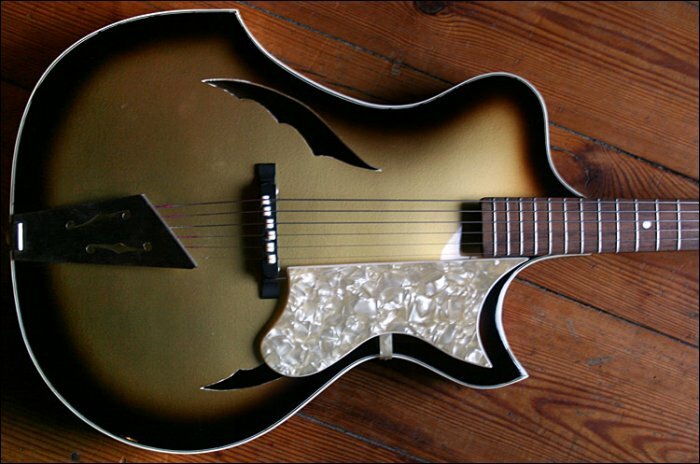 One other example of this guitar, recorded as being a "Hopf Commodore" (sic - note "Commander" is hand-etched on tailpiece, 'Hopf' was, I suspect, an educated guess), was the subject of a feature by Michael Wright in Vintage Guitar Magazine's "The Different Strummer"
This same guitar recently appeared on ebay (below). 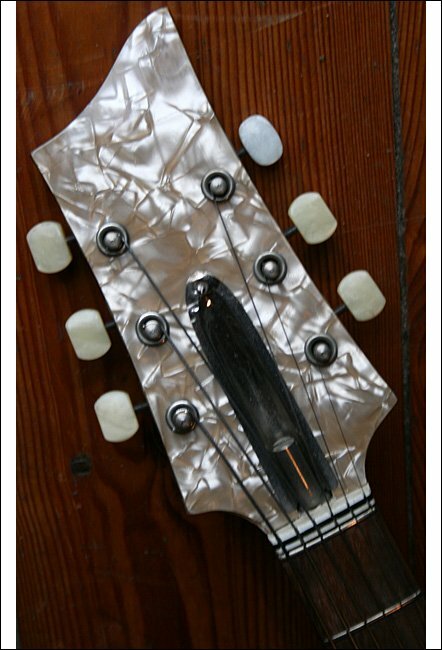 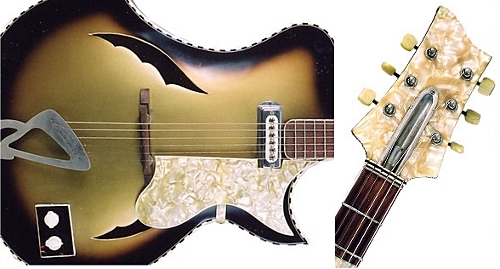 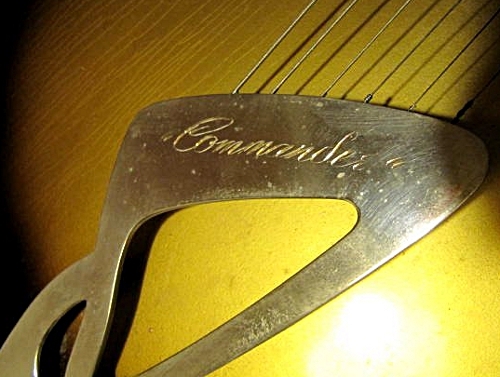 Features presumed original deluxe tailpiece, with seemingly hand-engraved name "Commander"